World Book Discovery encyclopedia which is useful and accessible for Year's 7 and 8. World Book library of natural disasters. Celebrations & Rituals around the world. A great selection of high interest books have gone onto the shelves. In total over 350 Fiction and Non-Fiction books have been added to the collection. 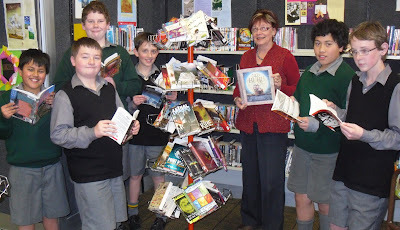 Mrs Taylor invites students to make some time to browse through the new books. There is something to capture most tastes and if you have a special request she will work hard to get a copy for you.